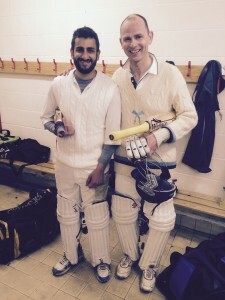 In gathering gloom reminiscent of England’s famous win in the Karachi twilight almost 15 years ago, the Buccaneers wrestled victory from the slavering jaws of defeat at Forest Row on Sunday 26 April. 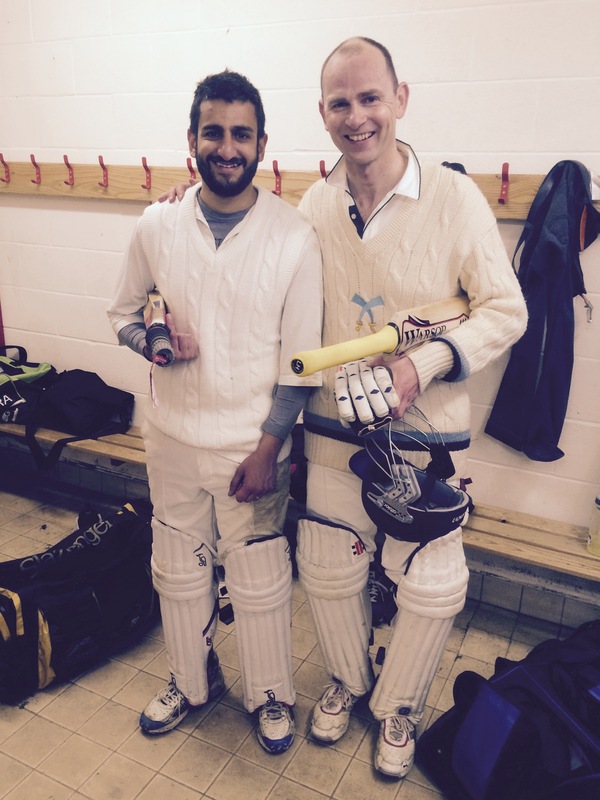 With captain James Stringer (46 not out) playing the Nasser Hussain role, though with less good humour but more shots, and Nav Kokri (47 not out) reprising Graham Thorpe’s well-paced match-winning knock, the Buccaneers chased down 195 with four wicket standing and 2.3 overs to spare. Yet this terrific win looked as unlikely as a Peter Moores knighthood midway through the innings when Buccs were 80 for 5 and then 114 for 6 on a damp greentop. The Forest Row bowling was challenging enough in the conditions and the early tone was set when Sujay Chakravarti departed in the first over. James Smith looked in very decent nick until given out lbw for 24 by Umpire Close, whose surname seemed something of an oxymoron in the circumstances given the batsman’s view of the questionable decision. Smith reacted to the dismissal with the charm and good grace one would expect from a man raised in the northern leagues. The Buccaneers’ bowling and fielding was generally impressive considering the challenges that nature placed in the way on the day: arctic temperatures, a wet ball not to mention a short boundary on one side and an even shorter one on the other. All of the six bowlers took at least one wicket, Smith two with his spin. Paul Hobson hooped the ball around like Jimmy Anderson in a wind tunnel and was unfortunate not to pick up more than one wicket. Manyon returned after a chastening early-season spell first up, to bowl ball of the day, pitching middle and hitting the top of off to dismiss Ellis. Bjorn defied local UKIP prejudices to show that Scandinavians can bowl tidy inswing and Stern bowled with both flight and guile … (enough of this. Ed.). Stern also contributed to the afternoon by offering Hobson cod-instruction on how to bowl the inswinger at the drinks break. The Buccs stuck at it well and for once no catches were dropped.